It is a cost effective online learning platform that offers non accredited courses to learners from all corners of world. Skillshare currently offers more than 14000 courses online for its active learners. The course content is provided in form of video lectures whereas these videos are created with interactive phases. Users of Skillshare.com can also download their course material to their mobile or tablet like devices and can read ahead when they are offline. The best thing to know about SkillShare is its ad free learning platform that never offers any disturbance during classes. It is a leading and interactive online teaching-learning platform. The content of Lynda.com basically uses to focus on achievement of professional as well as personal goals. Some of the popular courses of this platform are based on creative skills, technology, software and business development etc. The list of active members of Lynda.com includes government agencies, academic industries, corporate and many individuals. It is currently supporting more than 10000 organizations. Users can access annual as well as monthly plans on both these learning platforms. If we talk about Skillshare then monthly subscription can be accessed with payment of $12/month and for annual subscription you will get some discount as $8 per month. 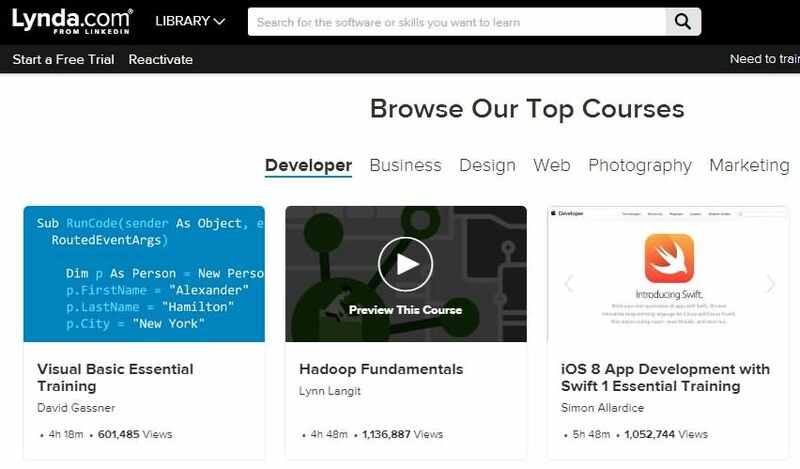 On the other side, the courses at Lynda.com are heavily priced. For the basic account you have to pay $19.99 per month whereas premium plans are available with payment of $29.99 per month. Lynda.com never offers any free learning class whereas so many courses on SkillShare are available for free. However, you can try a free account on both websites to check their content quality and basic course details. Skillshare provides course material specifically in English language for all 14000 courses of this network. Whereas Lynda.com has more than 5467 courses in its library and they offer content in four different languages for ease of learners. Most of the courses are available in English language whereas other language selection options are Spanish, German and French. Both these online learning platforms offer creative topics like photography and graphic design etc. People find them more valuable. Lynda provides access to wide variety of quality courses other than creative ones with standard content. But in case of Skillshare your learning is limited to creative topics only and the content is not standardized. As anyone on Skillshare can become an instructor so, course quality use to vary accordingly. For most of its creative courses, Lynda offers certificates to its learners whereas this facility is not available with Skillshare. There is no doubt to say that Lynda offers much higher quality of video content. The length of courses as well as video lectures in standardized so that users can plan their learning hours accordingly. But on skillshare platform you will not be able to access fixed duration courses all the time. The video lecture duration on skillshare use to vary between 10 minutes to few hours. Although, lecture quality on skillshare is not guaranteed to be good always but still you can find many outstanding instructors on this platform. Learners are allowed to select his/her course before starting lecture on skillshare platform. 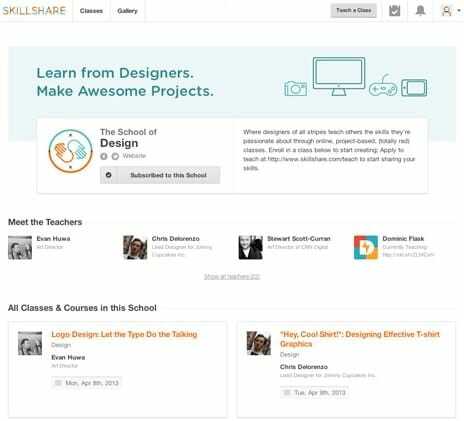 Skillshare allows open access to its platform so that anyone can become instructor over here with his/her specific skills. There is no set criterion for instructor’s skills but in case of Lynda.com it is not so easy to get enrolled as an instructor. Those who want to be an instructor on Lynda are requested to fill a form online on website and then their application is sent for scrutiny. The process of selection may take longer time as Lynda use to pick professionals with finest skills only after complete scanning. The quality of content also varies with quality of instructor and Lynda never makes any compromise with its standards.